URGENT >> BULLETIN >> MOVING: (Updated 6:37 a.m. EDT Oct. 31 U.S.A.) Eric Frein, the man accused of ambushing two state troopers under cover of darkness outside their barracks in rural northeastern Pennsylvania, has been captured after a 48-day manhunt, Gov. Tom Corbett announced on Twitter. 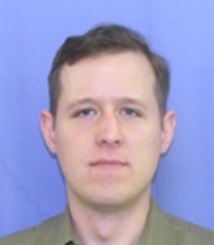 Frein, 31, became one of the FBI’s 10 Most Wanted Fugitives after allegedly shooting one trooper to death and wounding a second one on Sept. 12. KDKA, the CBS affiliate in Pittsburgh, is reporting that troopers put the handcuffs of slain colleague Cpl. Bryon T. Dickson on Frein when bringing him in. Multiple media outlets are reporting that Frein was captured by the U.S. Marshals Service near or in an abandoned airport hangar in northeast Pennsylvania. Frein, a purported survivalist, apparently hid in the Pocono Mountains after the attack. So how are “Most Wanted” fugitives selected? Three criteria are considered when a person is added to the list, Miller said. How long someone has been on the list – the longer the more likely the person gets added to the list – helps qualify a candidate. Also, people make the list if they’re believed to be at risk of committing, usually, a violent crime, again. And finally, if national publicity could help find the person, they may be added to the listing.